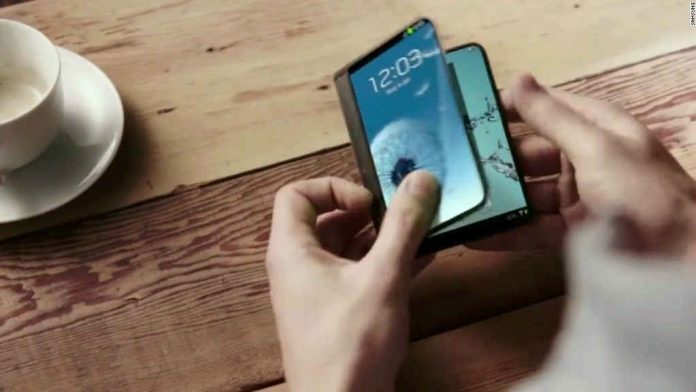 Samsung’s ambitions to introduce the world’s first foldable smartphone seem to be finally getting off the ground as the South Korean company has got its Galaxy X foldable smartphone certified in its home country. The South Korean certification body has certified Galaxy X (model number SM-G888N0), as per a report. For years, Samsung was silent on its foldable phone concept and there were only rumors. Now, with the introduction of the iPhone X, the Samsung Mobile CEO has also confirmed the arrival of the device. Usually, devices that are within a month or two of releasing are leaked until the entire surprise is pretty much ruined. Just look back at how many articles we wrote about the Galaxy Note 8 and iPhone X this summer. There was almost no detail that wasn’t leaked about those devices prior to launch. If the Galaxy X release date was going to fall sometime in October or November then we would know about it by now. We would have seen photos and marketing materials. That just hasn’t happened so we can be very confident that the Galaxy X is not coming in 2017. The alleged patent sketches filed by Samsung reveal that the foldable Samsung Galaxy X device will sport an extra-wide display screen. The catch in this massive display is that the internal portion will be composed of a flexible screen. Also, the widescreen display of the Galaxy X is rumored to be even larger than that of Samsung Galaxy S8, the latter having an aspect ratio of 18:5:9. The massive widescreen display of the Samsung Galaxy X can be folded into a smaller clamshell form to fit inside pockets and small bags. In spite of this, the device will still maintain its large display for the satisfaction of users. Whatever happens: don’t count on a Galaxy X release date any time in 2017. Samsung is focusing on selling as many Galaxy Note 8 devices in the lead up to the holiday season. We will likely have to wait until the new year for the Galaxy X to be officially revealed. I would say that the device is coming after the Galaxy S9 in the late Spring or early Summer of 2018. If you have been saving your money for a foldable smartphone then it looks like you will have a little longer to set aside some spare change.